WAILUKU — With the prosecution saying a key witness’s life was in danger following an acquittal in a murder trial last week, the witness was sentenced, then immediately discharged from probation Tuesday. 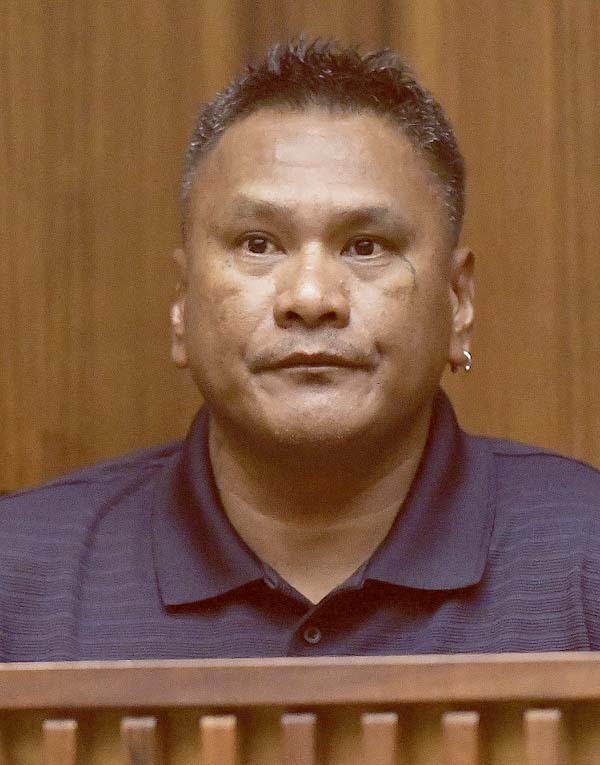 Alex Kealoha, 48, of Haiku pleaded no contest to first-degree burglary and second-degree theft in a 2014 case. After accepting the pleas and finding Kealoha guilty, 2nd Circuit Judge Joseph Cardoza placed Kealoha on four years’ probation, then immediately ended the probation at the request of the prosecution and defense. “We would like there to be no loose ends for Mr. Kealoha,” said Deputy Prosecutor Emlyn Higa. Kealoha testified last month in the 2nd Circuit Court murder trial of Jesse Hueu. Kealoha said Hueu confessed to killing 56-year-old Derrick Kualaau, who was found lying in a pool of blood on the porch of his shack at Maliko Gulch the evening of Dec. 11, 2014. Hueu said he used a baseball bat to strike Kualaau in the back of the head after sneaking up on him, Kealoha testified. He said Hueu reported being angry because Kualaau had hidden Hueu’s girlfriend following a fight between the couple earlier in the day. 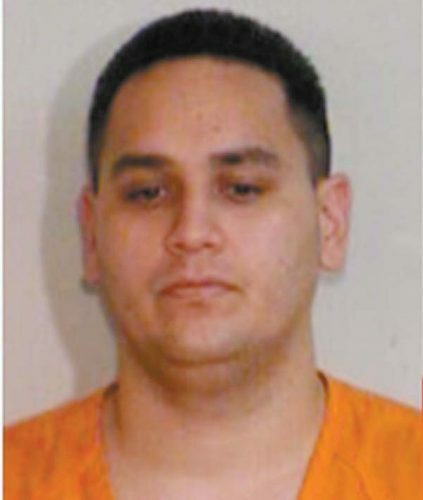 Kealoha and Hueu had been incarcerated at the Maui Community Correctional Center when Kealoha said Hueu provided details about the killing in December 2014. On Friday, a jury returned a verdict finding Hueu, 48, not guilty of second-degree murder. Defense attorney Cary Virtue said Kealoha “did a very brave thing” by testifying in the murder case. Kealoha is participating in residential drug treatment, Virtue said. Kealoha had been free on supervision in four pending 2014 criminal cases when he testified. In exchange for his pleas in one case Tuesday, the prosecution agreed to dismiss three other cases. In the dismissed cases, Kealoha had been charged with three counts of first-degree burglary, two counts of second-degree theft, four counts of credit card theft, first-degree unauthorized entry into a motor vehicle and two counts of fraudulent use of a credit card. In the burglary that Kealoha was found guilty of, a Haiku couple reported nearly $1,800 in property was stolen from their home, Higa said. He said some of the property was recovered and returned to the couple, who also received an insurance payment. “They have been made whole as far as their losses,” Higa said. If Hueu had been convicted of murder, Higa said the prosecution would have required Kealoha to enter pleas in each of his cases and to serve a full term of probation. “This is just a new situation,” Higa said. He said Hueu had threatened Christopher Fanelli, another material witness in the murder trial. Because he was a potential witness, Fanelli was assaulted by Kaipo Mahuna, 33, who is awaiting sentencing Dec. 21 after pleading no contest to intimidating a witness and third-degree assault, Higa said. Another potential witness was threatened by Hueu and had been assaulted at least twice while in jail because he cooperated with the prosecution, Higa said. “The only reason Mr. Kealoha was not threatened by the defendant was because the defendant didn’t have an opportunity to do so,” Higa said. He said the prosecution wasn’t rewarding Kealoha for his testimony. “It’s looking at the practical circumstances, which indicate to the state the risk to his safety,” Higa said.